Ok, this is the last post on training your children to help around the house, at least for now. But first, let me tell you a little about our philosophy on teenagers. All the way through life, God uses the things we have gone through to prepare us for seasons and situations later in our lives. Why should the teen years be any different? Why would we encourage self-centeredness and self-indulgence in that one stage of life, expecting them suddenly to be different when they graduate from high school or college? Recently while researching Tim’s ancestry, we found a document written pre-1889 in the Dakota Territory in which Tim’s ancestor granted temporary power of attorney to his 14-year-old son for decisions concerning their homestead while he was away on business. Fourteen years old?! I don’t think that our children could have handled that much responsibility at that age. Neither could I, for that matter! I know I wasn’t well-prepared for life without Mom and Dad. When I left home at 18, I knew how to set the table and make a salad—that’s all my mother asked me do to help get supper on the table. That was the extent of my pre-marriage cooking experience. I was just as weak in other areas. Determined to raise our children to be better prepared for adulthood, we tried to include them in housework and in their dad’s business. They traveled with us and worked alongside us. Under the watchful eyes of their parents, they learned good people skills and became hard workers. Besides involving your children help with the housework, include them in other things you do. As they are becoming adults, encourage them by giving them some adult responsibilities. Teens often push for adult privileges; but they may not understand that privileges come with responsibilities. For example, one of my daughters at 14-years old loved to shop, so I spent some time training her to read labels and shop for deals. I would make a shopping list and then take her to the grocery store where she would shop while I sat in the car grading papers. It was a great help to me, and she enjoyed it! Teenage boys benefit greatly from time spent with their dads. If Dad’s job doesn’t lend itself to including his sons, all is not lost. There’s always work around the house they can do together: plumbing, lawn work, car repair, etc. Include them in your ministry at church, in hospitality and volunteer work. We wanted to be the biggest influence in our children’s lives even when they were teenagers. Working alongside them, continuing to train them, and being examples to them will help prepare teens for adulthood and be a blessing to you as well. 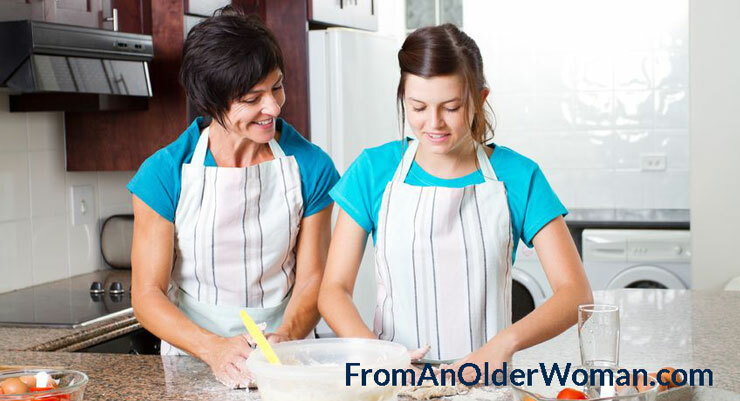 Parents often have the idea that their teens are too busy with their school work and activities to help around the house or even to participate in the family. If that is the case, perhaps they are too busy! Remember, it isn’t just for our own convenience that we train our children to work and help at home. We are helping them prepare for life as adults. I don’t know about you, but I could’ve used more preparation in that area!